Root canals have a bad reputation: they’re mistakenly thought of as the most painful operation at the dentist. But the real source of the pain is actually the infected root that necessitates the root canal. 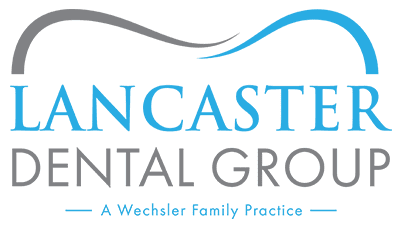 At Lancaster Dental Group: A Wechsler Family Practice, Mitchell Wechsler, DDS, offers gentle, high-quality, and professional root canals that free his patients from their pain and improve their overall oral health. If you’re near Lancaster, California, and are in need of a root canal, make an appointment today by calling the office or using the convenient online booking tool. Your pulp is made up of nerves, blood vessels, and connective tissues, and when it gets infected, the tissue gets inflamed. This inflammation causes the nerves inside the tooth to get pinched, which can cause a tremendous amount of pain. In a root canal procedure, Dr. Wechsler carefully extracts the infected pulp in your tooth and replaces it with a filling substance, thereby preventing the infection from spreading into your jaw and causing you even more pain. Any one of these symptoms could be an indication that you have tooth decay or infection that’s reached your tooth’s pulp. Is a root canal really necessary? Yes. Although the procedure involves the removal of your tooth’s nerve, you don’t really need your nerve, since its only function is to provide sensory input (namely whether something is hot or cold). If you suspect you might need a root canal, schedule a consultation with Dr. Wechsler immediately. Dr. Wechsler and the team at Lancaster Dental Group: A Wechsler Family Practice, can administer your root canal in 1-2 appointments. During the first appointment, Dr. Wechsler takes a digital X-ray of your tooth in order to determine the extent of the infection and damage. Next, he uses a local anesthetic to numb the area around the tooth, and places a small sheet of rubber around your tooth to keep it clean and to protect the rest of your mouth and throat from debris. In some cases, Dr. Wechsler might finish the procedure by installing a crown in order to further restore your tooth’s strength and functionality. If you’re showing symptoms of an infected tooth root, don’t hesitate to book a root canal consultation today with the knowledgeable and caring team at Lancaster Dental Group: A Wechsler Family Practice by calling the office or using the convenient online booking tool.